THE SADC-East Africa electricity interconnector project linking Zambia, Tanzania and Kenya is fast overtaking achievements recorded by the regional bloc’s long journey of integration since its birth in 1980. The Southern African Development Community (SADC) has moved as one cohesive unit since formation on April 1, 1980, scoring several successes, but the Zambia-Tanzania-Kenya power project is one of its kind. The project offers huge economic potential to eastern and southern African citizens and the industrialisation drive that SADC is pushing to the dais. This achievement is buttressed by a recently released report cataloguing the first phase of the inter-regional power links covering sections of the project in Zambia, Tanzania and Kenya. COMESA energy expert Seif Elnasr Mohamedain said the work to integrate SADC and the East African Community energy were on course and should be completed as expected by the end of 2017. The interconnector is widely expected to boost SADC power and the African Union’s thrust for continental integration while confining previous electricity challenges to the past. Dr Mohamedain said feasibility studies for the Mbeya (Tanzania) – Kasama – Kabwe (Zambia) sections of the project were nearing completion. “This project has been taken up by the COMESA-EAC-SADC Tripartite grouping which is fast tracking the implementation process. The three blocs have managed to secure funding for the preparatory activities,” said Dr Mohamedain, adding that COMESA was taking the lead in this effort. This project falls within southern Africa’s efforts to ensure electricity grids of all mainland countries are interconnected while tapping into the East African network. In an interview by phone from Swaziland, chairperson of the SADC Committee of Ministers Jabulile Mashwana, who is Swaziland Minister of Natural Resources and Energy, said progress made by SADC are top-notch when compared with other regional power pools. 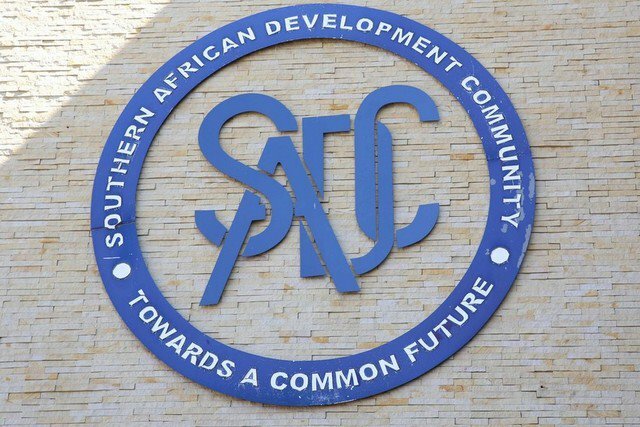 Ms Mashwana said the Southern African Power Pool (SAPP) successfully established the Short-Term Energy Market (STEM) and a competitive electricity market for SADC called the day-ahead market (DAM) as part of the integration drive. The Harare-based regional institute has upgraded the trading platform with Forward Physical Markets and the Intra Day Market. This is a clear indication that the SADC region has made great strides in strengthening energy integration and trading in the region. With regard to interconnectors, Ms Mashwana said the region has successfully completed 10 interconnector projects such as the 400kV ZESA Interconnector between Zimbabwe and South Africa and the 330kV Mozambique – Zimbabwe Interconnector. “I can also mention the 533kV line between Cahora Bassa in Mozambique and South Africa, the 220kV Zambia–Namibia, the 400kV DRC – Zambia line as well as the 400kV line between Camden in South Africa via Edwaleni in Swaziland to Maputo in Mozambique (MOTRACO),” So we are doing well,” said Ms Mawshwana in an interview from Mbabane, Swaziland. She said there are several other transmission projects that are in the pipeline and are currently either at the concept or feasibility stage. The projects further seek to strengthen the integration agenda. Several barriers, however, still need to be overcome in the SADC region to unlock further investment in energy infrastructure. SADC senior programme officer, energy, Moses Ntlamelle said the Zambia-Tanzania-Kenya (ZTK) Project is going as planned. Progress by May 2017 indicated that the construction of the Mbeya-Kasama line was underway while a contract for the Kasama –Nakonde line in Zambia, was awarded and construction was scheduled to take 18 months. In a response to an emailed query, Mr Ntlamelle said there were feasibility studies being undertaken on Mbeya – border (100km) and Mbeya –Iringa (292 km) but funding was yet to be secured. Mr Ntlamelle said the Iringa-Singida-Shinyama project was completed, while the Iringa –Dodoma-Singida-Shingana (647 km) line was currently operating at 220 kV. There was huge anticipation for the Singida-Arusha-Namanga (Kenya) where funding was secured for the transmission and substation segments. Commissioning of that part has been planned to take place in 2019. This will add to the region’s ambitious plan to connect mainland countries to the regional grid as a spear-point of regional integration. All mainland SADC countries, with the exception of Angola, Malawi and the United Republic of Tanzania, are interconnected to the regional grid through SAPP, allowing them to trade in electricity. New generation capacity installed in any of the three non-participating countries is, therefore, not accessible to the nine other members of SAPP – Botswana, Democratic Republic of Congo, Lesotho, Mozambique, Namibia, Swaziland, South Africa, Zambia and Zimbabwe. SAPP has embarked on 10 transmission projects aimed at ensuring that all its members are interconnected by 2020 and that the regional grid is strengthened to facilitate greater power trading by 2024. Priority power transmission projects include the construction of the ZiZaBoNa Interconnector Project linking Zimbabwe, Zambia, Botswana and Namibia, as well as the establishment of the Angola-Namibia interconnector that will connect the former to SAPP. Additionally, SAPP said in its monthly report of March 2017 that it has secured funding from the Development Bank of Southern Africa (DBSA), Government of Norway and Swedish International Development Cooperation Agency (SIDA) for transaction advisory services for the project scoping and preparation of the Angola-Namibia Interconnector. To facilitate the interconnection between its power grid and that of the Eastern Africa Power Pool (EAPP), SAPP is in the process of commissioning studies to assess the technical impact of connecting the EAPP and SAPP. SAPP Coordination Centre acting manager Alison Chikova told the SADC Energy thematic group meeting in Botswana that the SAPP-EAPP Transmission Integration Studies will assess the suitability of connecting EAPP and SAPP trading mechanisms. EAPP is made up of seven countries in eastern Africa and central Africa – Burundi, DRC, Egypt, Ethiopia, Kenya, Rwanda and Sudan. Its secretariat is based in Ethiopia. SAPP operates a number of power trading platforms such as the Day Ahead Market (DAM) and the Intra-Day Market (IDM). DAM is an auction-type market that allows power utilities in the SAPP to weigh their options and ensure that they buy from the market when it is cheaper to get power than to generate. This helps SAPP members to bid on and sell electricity a day before transactions are made. The IDM came into force in 2016 with the aim of offering the utilities more flexibility in terms of the availability of trading options.